I’m headed on a Disney Cruise in a few weeks and I wanted to message my pending excitement! What a better (and more fun way) of doing that than by adding a Disney emoji to my social media posts! Yet, how do I get Disney Emojis anyway? Turns out in the summer of 2016, Disney released an app for Android 4.0+ and iOS 8.0+ for iPhone and iPads and Windows 10 (PC, Tablet, Phone) called Disney Blitz. It is a game you play on your devices. The more you play (and earn virtual coins and prizes), the more Disney Emojis you get. Everything from Mickey to Ariel to a Disney Ticket and Mickey Ear Emojis. In my experience, be prepared to pay. While the app is free, you have to play a lot to get a decent number of Disney Emojis, or pay to buy more virtual coins and jewels to able to get an Emoji faster. Yet, the game is simple and fun. Perfect for those times you are waiting around and don’t want to check email or get depressed with the news. Often times, there will be a limited time offer when you can get the “virtual currency” you need for a real currency discount. How to use Disney Emojis across various devices? Log into Facebook for each Disney Emojis Blitz device access and it will sync across them all. This ensures you are on the same level in each device. Just make sure to save your most recent progress before accessing the app on another device. Note that at this time, from my research, you cannot use it (and thus get Disney Emojis) on a Mac. How to get Disney Emojis on my iPhone? Once you earn Emojis, the next question you will have (because I did) is how to I get the Emojis on my iPhone or other devices? I wasn’t sure how I would get the Emojis from the app, into my keyboard on my phone. What you need to do is open your iPhone, go to Settings, General, Keyboard. Once there, select Keyboards. You should see the Emoji Blitz option. Pick that by tapping on it. You’ll then go to a different screen and you want to turn on “Allow Full Access”. Once you do that, you are all set to text family and friends or use on Twitter. 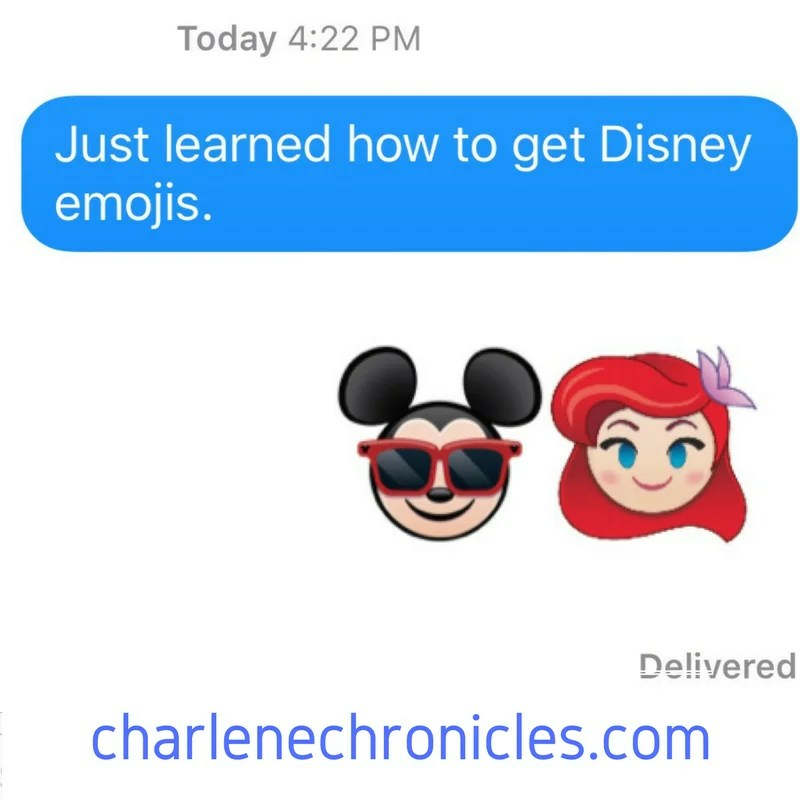 How do I use Disney Emojis in Facebook iMessage? You can share your Disney and Pixar emojis as stickers through iMessage on iOS 10 by launching Messages and tapping the App Drawer icon. Tap the Store icon and elect the Manage tab at the top. Once there, tap the switch of the app you would like to turn on. If it is already on, then you should see it in the app drawer or manually add downloaded apps to the app drawer. Then you are all set to start Tweeting, texting, messaging and commenting using your earned Disney Emojis!